For the past six decades the Ministry of Defence (MoD) has kept what it knew about the topic of 'unidentified flying objects' locked away in its archives. Unlike their counterparts in the USA, who ran an officially-funded 'UFO project' for two decades, the British MoD preferred to quietly monitor the subject and preferred to say nothing publicly about its UFO policy or the results of investigations of reported sightings, particularly those by aircrew. Responding to a USAF enquiry in 1965, the MoD said: "Our policy is to play down the subject ... and to avoid attaching undue attention or publicity to It. As a result, we have never had any serious political pressure to mount a large-scale investigation such as Project Blue Book." This policy was more a product of Cold War paranoia than evidence of a conspiracy to conceal evidence of an extraterrestrial presence from the British public. Secrecy surrounded many aspects of military operations and intelligence during the Cold War and UFOs were no exception to this rule. Dr Edward Condon remarked, in the introduction to the 1969 Colorado University report on UFOs for the USAF Project Blue Book that "where secrecy is known to exist one can never be absolutely sure that he knows the complete truth". Furthermore, the fact that in Britain many official papers on UFOs have been withheld for half a century in some cases, and destroyed in others, has provided a steady supply of fuel for conspiracy theorists. The idea of a conspiracy by the Air Ministry, and later the Ministry of Defence (MoD), to hide 'the truth' about UFOs (i.e. their assumed ET origin) has been a key theme in British ufology since the first 'flying saucer' clubs appeared in 1952-53. Belief in the existence of a secret Government 'silence group' -led by the mythical 'Men In Black' (MIB) was encouraged by Albert Bender's fantasies and the 'cover up' stories circulated by Major Donald Keyhoe in the USA. These ideas filtered back into British ufology and were enthusiastically promoted by successive editors of Flying Saucer Review, who believed the British authorities were working with the Americans to suppress the 'facts' about the ET presence. The myth of a 'UFO cover-up' by the British authorities grew out of the culture of secrecy and the paranoia of UFOlogists. The facts are that before the arrival of freedom of information the British public had no automatic right to examine any Government papers. Those relating to UFOs were no different to any other category of public record, from hospital records to MP's expenses. Prior to 1994 all government papers were retained for a minimum of 30 years before they were reviewed for preservation at the National Archive. Any material deemed 'sensitive' could be with-held for longer periods and, in the case of intelligence records, this could be as long as 50 or even 100 years. Worse still the Grigg Committee of 1957 recommended that some 95% of Government records should be destroyed at first review stage. As a result many papers on subjects deemed to be 'of no historical significance' as UFOs were categorized until 1967 were lost before they reached a public archive. Prior to the late 1990s British ufologists had limited success in their attempts to persuade the MoD to be more open about their work on the subject. Throughout the 1960s and 1970s individuals and groups tried to persuade the MoD's 'UFO desk' (then known as S4 (Air)) to open their records. These requests were always politely refused on the grounds that any reports made by members of the public to the MoD were confidential and their identities would have to be removed before they could be released. Correspondents. were informed that the costs of processing this information could not be justified, and the requestors would have to wait until 30 years before the files could be released. As many earlier papers had already been destroyed, the first UFO files did not reach the Public Record Office (now The National Archives) until the mid-1980s. UFO researchers who made the trek to Kew to examine these records were disappointed. The papers were fragmentary, superficial in content and betrayed none of the deep interest that had been assumed by conspiracy theorists. When Roger Morgan presented his paper 'British Government UFO Files in the Public Record Office' to Magonia's 20th anniversary conference in 1987 just four files dating from 1950-1957 had been released. As Morgan noted, these were fragments of a much larger collection of papers many of which had been.lost dunng successive reshuffles of the Whitehall filing system. A sea change began in 1994 when John Major's administration introduced a limited right to access to records younger than 30 years. This legislation was known as 'The Code of Practice for Access to Government Information' and was a precursor to the full Freedom of Information Act that became part of the Labour Party manifesto in the General Election of 1997. By this time, a large number of UFO records now older than 30 years were being prepared for release at the Public Record Office. This on-going process of releases became a veritable flood by 1998-99 when a large collection of records relating to the 1967 UFO wave were opened. This period marked the beginning of my project to systematically examine and catalogue all the UFO records at Kew, in preparation for the writing of my book with Andy Roberts, Out of the Shadows, published in 2002. 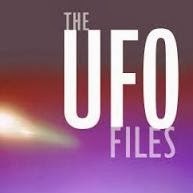 By 2007 some 200 or more files, from a variety of Government departments had been opened covering a variety of UFO incidents and official correspondence from the Second World War to the mid-1980s. Prior to the completion of the book we utilised the existing 'Code of Practice' to negotiate the advance release of the MoD's file on the infamous Rendlesham Forest incident and the 50-year-old report of the 'Flying Saucer Working Party'. The latter, referred to in the famous Air Ministry letter to Winston Churchill, had long been designated as 'missing, presumed destroyed'. The report, it emerged, had not been destroyed; it had simply been misfiled in the Whitehall archives before our requests to the Departmental Records Officer led to its rediscovery. The growing momentum of releases culminated in the implementation of Britain's Freedom of Information Act (FOIA) on 1 January 2005. Since that time the MoD has been inundated with requests for information on UFOs. It emerged the subject was the third most popular in terms of numbers of requests received in the first 18 months of the act's existence. As a result of the pressure placed on resources a decision was taken during 2007 to transfer all the remaining UFO records from Whitehall to The National Archives. The collection, which contains some 180 files dating from 1980 to 2007, will be transferred in tranches over a three year period beginning in May 2008. In a statement to UFOlogist Joe McGonagle, the MoD describe the release as the largest single release of records younger than 30 years in the department's history. The decision, they added, was taken to counter what officials described as 'the maze of rumour and frequently ill-informed speculation' surrounding their alleged involvement in UFO research and investigation. This article is an expanded version of a guide I have produced for the National Archives in advance of the first release of UFO records in 2008. It summarises the contents of the records opened at Kew prior to 2008 which mainly refer to the post-war years from 1950 until 1984. Once a reference has been located the original papers can be ordered for inspection in the Reading Rooms at Kew, or copies of the file ordered via the National Archives public website. An understanding of the factors that lay behind the British Government's interest in the UFO issue can be found by studying the range of documents available at the National Archives. The vast majority of the records are concentrated in the post World War Two period. This reflects growing post-war fascination with the idea of UFOs as extraterrestrial visitors, as portrayed in popular science fiction films such as The Day the Earth Stood Still (1951). In contrast, official policy was restricted to establishing whether UFO sightings could be considered to be a threat to the realm. During the Cold War, for instance, the major threat came from behind the Iron Curtain. Once Soviet aircraft were eliminated, the identity of a UFO was of no further interest to the military. To understand the origins of the British Government's interest in UFOs it is necessary to look back to an earlier period of 20th century history. In 1909 and 1913 phantom airships dark cigar-shaped flying objects carrying searchlights were sighted at night moving over many British towns and cities. As tension grew in the build up to the First World War, the media and some politicians accused the Germans of sending Zeppelin airships to spy on dockyards and other strategic areas around the British coastline. 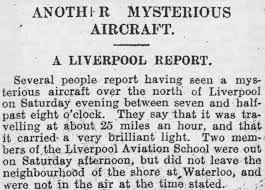 When sightings of an unidentified aircraft were made over the Royal Navy torpedo school at Sheerness, Essex, in October 1912 questions were asked in the House of Commons. 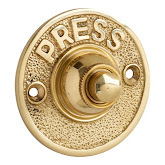 This led the First Lord of the Admiralty, Winston Churchill, to order an investigation. This failed to establish the identity of the aircraft but the Germans were widely believed to be responsible. The relevant papers are AIR 1/2455 and AIR 1/2456. Both the War Office and Admiralty investigated further sightings of unidentified airships, aircraft and mysterious moving lights, usually seen at night, that were made to the military authorities from many parts of the British Isles during the Great War. In 1916 a War Office intelligence circular concluded that 90% of the reports could be explained by bright planets, searchlights and natural phenomena ('Alleged Enemy Signalling 1916', WO 158/989). More sightings of aerial phenomena were made during the Second World War by RAF aircrew. These included balls of fire and mysterious moving lights that appeared from nowhere and appeared to pursue aircraft from Bomber Command operating over occupied Europe. American pilots dubbed these UFOs as foo-fighters from a character in a comic strip whose catch phrase was 'where there's foo there's fire.' Although the foo-fighters did not appear to be hostile the sightings caused considerable alarm in the Allied forces as they prepared for the invasion of France. The RAF began to collect reports from 1942 and later in the war the Air Ministry shared intelligence on the subject with the US authorities. They assumed the objects were German secret weapons, such as the Me262 jet fighter. At the end of the war no traces of advanced aircraft or weapons that could explain the 'foo fighters' were found by the Allied occupying forces. In addition, intelligence officers such as Dr R.V. Jones discovered that German pilots had observed similar unexplained aerial phenomena. Air Ministry reports on 'night phenomena' are at AIR 2/5070 while reports from aircrew with Bomber Command's 115 Squadron in December 1943 are at reference AIR 14/2800. At the end of the war both the War Office and Air Ministry became involved in an investigation of mysterious ghost rockets sighted over Scandinavia. Initially senior intelligence officers at the Air Ministry believed the 'flying bombs' were of Soviet origin, possibly as V2 rockets from the captured Nazi rocket plant at Peenemunde. Dr R.V. Jones, who became Director of Intelligence at the Air Ministry in 1946, was skeptical of this theory. Drawing upon his wartime experiences, he believed the scare was triggered by sightings of bright daylight meteors in countries which feared Soviet expansion. Reports and correspondence between the Foreign Office, Air Ministry and the British air attache in Stockholm are contained in FO 371/56988 and FO 371/56951. An air intelligence report on the 'ghost rockets' of 1946 can be found at reference AIR 40/2843. Reports of ghost rockets preceded by six months the first sightings of 'flying saucers' over the mainland of the United States. In December 1947 the newly created US Air Force set up a project, code-named Sign to"the phenomenon reported is something real and not imaginary or fictitious". The British Government did not begin any official inquiry into the UFO mystery until 1950. During the spring and summer of that year a large number of 'flying saucer' sightings were made in Britain for the first time and the news media began to take an interest. Two Sunday newspapers serialised the first books on the topic that had been published in the USA and this led a number of senior figures both in the establishment and the scientific community to treat the subject seriously for the first time. The Sunday Dispatch was encouraged to publish stories by Lord Louis Mountbatten, who was later to become Chief of Defence Staff. Mountbatten was one of a small group of influential military officials who believed UFOs were real and of interplanetary origin. Another senior official who took reports of UFOs seriously was Sir Henry Tizard. He is best known for his work on the development of radar before the Second World War. 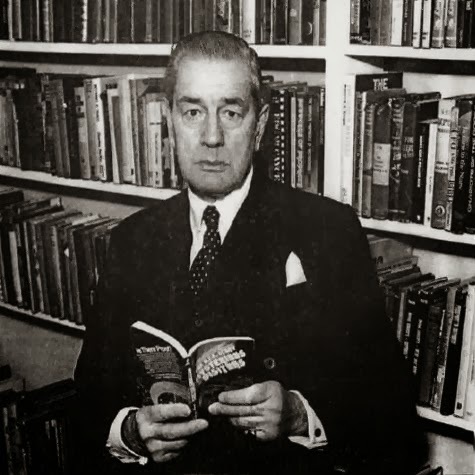 Post-war Tizard became Chief Scientific Advisor to the Ministry of Defence and came to believe that "reports of flying saucers should not be dismissed without some investigation" (DEFE 41/74). It was as a direct result of his influence that the MoD was asked to set up a small working party to investigate reports of flying saucers under the Directorate of Scientific Intelligence/Joint Technical Intelligence Committee (DSI/JTIC). The Flying Saucer Working Party operated under such secrecy that its existence was known to very few. However, a reference to a study of flying saucers emerged in 1988 when a file of correspondence between Winston Churchill and the Air Ministry was opened under the 30 year rule at PREM 11/855. 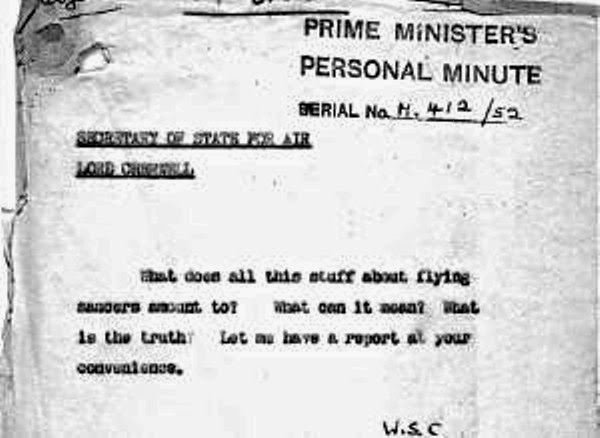 On 28 July 1952 the Prime Minister asked his Air Minister: "What does all this stuff about flying saucers amount to? What can it mean? What is the truth? Let me have a report at your convenience". The response, dated 9 August 1952, began "The various reports about unidentified flying objects, described by the Press as 'flying saucers', were the subject of a full intelligence study in1951". To review the available evidence in reports of 'Flying Saucers'. To examine from now on the evidence on which reports of British origin of phenomena attributed to 'Flying Saucers' are based. To report to DSI/JTIC as necessary. To keep in touch with American occurrences and evaluation of such. The working party included five intelligence officers, one from each of the three armed services. This team reviewed what was known about the subject and investigated a number of sightings reported to it by RAF Fighter Command. During their inquiries they questioned a group of test pilots from RAE Farnborough who had reported sightings of aerial phenomena. In June 1951 the working party produced a final report that debunked the sightings and concluded that flying saucers did not exist. A surviving copy of DSI/JTIC Report No 7 was found in MoD archives in 2001. It was released in the following year at reference DEFE 44/119. Classified 'Secret/Discreet' the six page report concluded that all UFO sightings could be explained as misidentifications of ordinary objects or phenomena, optical illusions, psychological delusions or hoaxes. The working party concluded with the following statement: We accordingly recommend very strongly that no further investigation of reported mysterious aerial phenomena be undertaken, unless and until some material evidence becomes available. The members of the working party relied heavily upon information supplied by the t:JS-Air Force UFO project (now renamed Grudge) and the CIA. US policy was to debunk the subject and restrict the release of information to the public about UFO sightings made by the armed services. A senior official from the CIA's Office of Scientific Intelligence, Dr H. Marshall Chadwell, was present at the meeting of DSI/JTIC in London during June 1951 when the report was delivered to MoD. American influence upon the team's methodology can be seen both in the adoption of the USAF term UFO in its title and the conclusions. Circulation was restricted within MoD with just one copy sent to Sir Henry Tizard. The Prime Minister was told on 9 August 1952 that 'nothing has happened since 1951 to make the Air Staff change their opinion, and, to judge from recent Press statements, the same is true in America' (PREM 11/855). In September this policy was dramatically reversed as a direct result of further UFO sightings that occurred during a major NATO exercise in Europe. The most dramatic were those reported by a group of Shackleton aircrew who saw a circular silver object appear above the airfield at RAF Topcliffe in North Yorkshire. In a report made to the base Commanding Officer one of the men, Flt. Lt. John Kilburn of 269 Squadron, RAF, said he watched as the object appeared to descend to follow a Meteor jet, rotated on its own axis and then accelerated away at a speed 'in excess of a shooting star' (AIR 16/1199). According to Capt Edward Ruppelt, of Project Blue Book, it was the Topcliffe sighting that 'caused the RAF to officially recognise the UFO.' Soon afterwards the Air Ministry decided to monitor UFO reports on a permanent basis. Responsibility was delegated by the Chief of Air Staff to a branch within the Deputy Directorate of Intelligence (DDI (Tech) known as AI3. In December 1953 HQ Fighter Command issued orders to all RAF stations that in future reports of 'aerial phenomena' should be reported directly to DDI (Tech), Air Ministry, for further investigation. The order said it was important that details of sightings made by RAF personnel and from radar stations should be carefully examined and its release 'controlled officially.' The Air Ministry letter stated that 'all reports are to be classified 'Restricted' and personnel are warned not to communicate to anyone other than official persons any information about phenomena they have observed, unless officially authorised to do so' (AIR 20/9994). The existence of this summary came to light in May 1955 when the Conservative MP Major Patrick Wall asked the Secretary of State for Air, in a Parliamentary Question, if he would publish the "report on flying saucers recently completed by the Air Ministry." In reply the Air Minister George Ward said that: "Reports of 'flying saucers' as well as any other abnormal objects in the sky, are investigated as they come in, but there has been no formal inquiry. About 90 percent of the reports have been found to relate to meteors, balloons, flares and many other objects. The fact that the other 10 percent are unexplained need be attributed to nothing more sinister than lack of data." (AIR 2/16918). The residue of 10 percent 'unexplained' sightings that remained UFOs (or, as the Air Ministry preferred, 'insufficient information), explains the policy decision to continue collecting reports to the present day. The reasons given in the AMSIS article were that "there is always the chance of observing foreign aircraft of revolutionary design." This factor remained a concern for intelligence agencies until the end of the Cold War. The Air Ministry was careful to qualify this interest with this caveat: "... as for controlled manifestations from outer space, there is no tangible evidence of their existence." (AIR 40/2769). The Joint Intelligence Committee (JIC) initiated inquiries into 'aerial phenomena' on two occasions during the late 1950s. Following press reports of UFOs tracked by radars at RAF West Freugh, Scotland, in April 1957 the Air Ministry informed the JIC it was unable to explain four recent incidents (CAB 157/27). Aerial phenomena were again the subject of JIC discussion in March 1959 following a sighting made at London airport (CAB 159/31). From 1958 a civilian Air Staff secretariat branch known as S6 (Air) took over responsibility for dealing with public relations on the topic of UFOs. During that year an S6 desk officer said their policy would be 'politely unhelpful' in response to any public or press inquiry on the subject. In effect this meant that from this point onwards two separate branches of the Air Ministry were involved in dealing with the UFO problem. DD! (Tech) was responsible for investigating reports and assessing their defence significance, whilst S6 (Air) fielded questions from members of the public, the press and MPs. In 1964 the Air Ministry became part of the new Ministry of Defence and the three separate service intelligence sections of the Army, Navy and RAF were merged under a new unified structure. S6's UFO remit passed to a new MoD secretariat, S4 (Air) and in 1967 responsibility for the investigation of UFO incidents deemed to have defence significance were inherited by a Defence Intelligence branch known as DI55. Although more than 11,000 UFO reports have been logged by DI55, S4 (Air) and a number of other MoD branches between 1959 and 2007, no detailed studies have been carried out on the accumulated data until relatively recently. Following a new wave of sightings in 1967 the Government faced a series of Parliamentary questions on their UFO investigations and policy. In response, the head of S4(Air), James Carruthers, produced a detailed briefing for the Secretary of State for Air, Merlyn Rees MP. In his report dated November 1967 Carruthers says MoD had kept a statistical analysis of UFO reports received since 1959 "and has found no evidence to suggest [UFOs] have other than mundane explanations." He added that MoD "does not consider that a separate study by [UK] Government departments or by a university other independent organisation would produce results to justify the expenditure, time and money involved." (DEFE 31/119). The Department of Defence should continue to handle UFO reports in its normal surveillance operations without the need for special units such as Project Blue Book (S4 briefing to MoD, 24 March 1970, copy in BJ 5/311). Project Blue Book was closed by USAF following publication of the Condon report in December 1969. In the UK the MoD used the findings to further reduce their workload on UFOs. From 1973 members of the public who reported sightings received only a polite acknowledgement. Unlike the USAF, the MoD decided it should continue to maintain an interest in the subject so that it could answer questions from MPs and where necessary, reassure the public that UFOs posed no threat to national defence. This policy rethink, the first of many, took place between 1970 and 1975 and the papers can be found at AIR 2/19086. The last time the Government made a full public statement on its policy was in January 1979 when UFOs were the subject of a lengthy debate in the House of Lords. This was initiated by Lord Clancarty (Brinsley le Poer Trench, above), a ufologist who had written several books on the subject. Clancarty believed the MoD were covering up the truth about UFOs and he tabled a motion that called on the UK Government to set up an inquiry and for the Defence Minister to make a televised statement on UFOs. In the Lords, the Government's response was delivered by a retired Royal Navy officer and Labour peer, Lord Strabolgi (David Kenworthy). His closing remarks were: "... as for telling the public the truth about UFOs, the truth is simple. There really are many strange phenomena in the sky, and these are invariably reported by rational people. But there is a wide range of natural explanations to account for such phenomena. There is nothing to suggest to Her Majesty's Government that such phenomena are alien space craft". AIR 20/12966. Keyword searches on the Catalogue using the 'UFO' or 'U.F.O' or '(unidentified NEAR flying)' and 'flying saucers' will produce a list of most of the relevant files held at the National Archives. Various documents held at The National Archives give a history of the British Government's involvement in the UFO issue and an insight into the politics and personalities responsible for shaping official policy. The official reporting, analysis and recording of UFO sightings commenced in the early 1950s, but substantial records at the National Archives begin in 1962. Until 1967 MoD policy was to destroy UFO files at five yearly intervals because they were deemed to be of 'transitory interest'; as a result a number of records before 1962 have been lost. This policy was rescinded as a direct result of Parliamentary questions made by the MP Sir John Langford-Holt in 1970 (AIR 2/19086 and DEFE 13/1183). There are several files documenting the UK Government's policy on UFOs, including references to how and by whom it was drawn up and how it evolved. These papers illustrate how a number of different branches and divisions with MoD were involved at different times handling policy and investigations. Examples of Parliamentary correspondence can be found at DEFE 24/1535. This file also contains papers relating to the British Government's response to the Prime Minister of Grenada's attempts to table a debate on UFOs at the United Nations in 1977-78. Other papers include references to the French Government's UFO policy and the study group established by the French Space Agency, based at Toulouse. A series of files contains responses to Parliamentary Enquiries on UFOs, at DEFE 13/1183, DEFE 13/1187 and DEFE 13/1188. There is a substantial collection of papers relating to the UFO debate held in the House of Lords in January 1979. A number of MoD branches, along with the Foreign Office and the Dept of Science & Energy, contributed to the Government's response in the Lords. DEFE 19/253 contains RAF Chief Scientist papers while AIR 20/12966 is the Head of S4(Air)'s file on the debate and its aftermath. (q) Is a reply requested? AIR 2/16918 features numerous sighting reports and correspondence from members of the public to the Air Ministry secretariat S6, between 1961 and 1963. On the reorganization of MoD in 1964 a new Secretariat, S4 (Air), took over responsibility for UFO matters. UFO reports and correspondence from 1967 can be found at AIR 2/18115 and AIR 2/18116, 1967-68 at AIR 2/18117, and 1968-69 and AIR 2/18183. AIR 2/18871 contains reports and newspaper cuttings from 1972, while AIR 2/18872 consists of a collection of UFO reports and correspondence 1972-1973; AIR 2/18873, 1973-1974; and AIR 2/18874 likewise for 1974-1975. A series of files containing UFO reports runs from February 1974 until December 1976 and begins at AIR 2/18950. AIR 2/19126 contains a statistical analysis of UFO reports made to MoD between 1967 and 1973. AIR 20 files include a number of Air . Ministry UFO papers that escaped destruction before 1967. AIR 20/7390 contains reports of unidentified objects/aircraft made to Air Ministry between 1950 and 1954. AIR 20/9320, AIR 20/9321 and AIR 20/9322 contain Parliamentary Questions and briefings on UFOs reported in 1957, including reports of objects tracked by radar. AIR 20/9994 also contains papers from RAF radar stations concerning 'reports of aerial phenomena' during 1957. A further series containing UFO sighting reports made to S4 (Air), filed in monthly folders covering the period August 1967 through to December 1973, begins at reference AIR 20/11887 and ends at AIR 20/12555. A third series of files, at DEFE 24 contains reports and public correspondence from 1977 through the 1980s. DEFE 24/1206 covers 1977 and DEFE 24/1207, 1977-78. These files contain papers from a number of MoD secretariats. S4(Air) was succeeded by DS8 in 1979. In turn DS8's UFO responsibility passed to Sec(AS) in 1984. DEFE 24 also contains a series of 'edited copies' of UFO reports received by MoD, covering the years 1975-1980. These are duplicates of the main reports series, prepared at a time when the MoD first considered the release of UFO material to the public. The identities and home addresses of observers have been deleted from the edited reports. A MoD proposal to make this material available on request to public was reversed in 1984 by defence minister John Stanley on the grounds of cost (DEFE 24/1517). DEFE 31 contains a series of UFO records created by the Defence Intelligence Staff branch DI55 and their predecessors, Air Ministry DD! (Tech). Policy files are DEFE 31/118 and DE FE 31/119. UFO report files include DEFE 31/171 (1975-76) and DEFE 31/163 through to DEFE 31/167 (1979). A short series of RAF Air Defence/ Operations UFO files include DEFE 71/3 (UFO reports 1975-77) and DEFE 71/4 (UFO reports 1977). "It is concluded that the incident was due to the presence of five reflecting objects of unidentified type and origin. It is considered unlikely that they were conventional. aircraft, meteorological balloons or charged clouds." AIR 20/11889 and AIR 20/11890 contain papers and reports on a 'flying cross' sighted by police officers and other witnesses in Devon, Sussex and elsewhere during October 1967. Papers from 1967-68 also contain details of field investigations of selected UFO reports carried out by S4(Air) and D!55. A number of records contain large numbers of reports made on a single night, often quickly explained as sightings of bolide meteors and/or reentries of man-made satellites and other 'space junk'. DEFE 24/1212, for instance, contains some 20 sightings reported to MoD on the evening of 31 December 1978 from many parts of the British Isles. The source of this 'flap' was identified by the RAF's early warning base at Fylingdales, North Yorkshire, as the re-entry into Earth's atmosphere of the Russian satellite Cosmos 1068. Nevertheless, an examination of the reports made to the RAF by members of the public and police officers reveals a variety of descriptions of the debris, including: "cigar shaped, very bright, with lighted windows" (Manchester), "similar to a German V2 rocket at a height of 1000 ft" (Bradford) and "train-shaped, 120 ft long tapering at the front with 40 plus bright lights all along the side" (Newmarket). AIR 2/19083 contains brief details of the so-called Berwyn Mountains UFO incident, reported in North Wales in January 1974. AIR 2/19125 is a collection of UFO sightings compiled by staff at RAF Patrington in North Yorkshire referred to as "reports of unusual occurrences (UFO)." This includes details of sightings made by civilians, police, and various flight personnel from the station between 1968 and 1973. AVIA 65/33 contains papers and photographs of Project Y (1953-55), a Canadian project to design a saucer-shaped vertical take off (VTOL) aircraft. This file shows that both the Air Ministry and Ministry of Supply wished to develop ideas for saucer-shaped aircraft but no progress was made due to cost and technical difficulties. Further papers on 'unorthodox aircraft' designs, including flying saucers, from 1949-52 can be found at DEFE 41/117 and DEFE 41/118. BJ 5/311 contains papers collected by the Meteorological Office relating to UFO reports and policy 1968-1970. The Met Office have provided technical advice to the Air Staff secretariat on UFO matters since 1950, but this is the only surviving file containing evidence of their input to official policy. DEFE 71/33 contains a brief discussion between RAF, Air Traffic Control and the Defence Intelligence Staff concerning UFOs as a potential hazard to civil aviation, 1977-78. AIR 2/19119 and AIR 2/19117 contains papers relating to the MoD's involvement in two BBC productions on UFOs. In 1972 the head of S4 (Air), Anthony Davies, appeared on a UFO debate screened by BBC2's Man Alive series. He was also interviewed by BBC Radio Oxford for a programme broadcast later that year. DEFE 24/1565 contains a transcript of the head of S4 (Air)'s contribution on a Yorkshire TV programme on UFOs in 1979. The Ministry of Defence hold a further 160-180 UFO-related files dating from 1984 to the present day. Since 2005, under the Freedom of Information Act (FOIA) they have continued to release information to requestors and added material to their FOI publication scheme. In 2007 the ministry announced these would be released in batches from spring 2008 over a third year period. Personal details of those who made the reports would be removed from the versions opened at the National Archives under Section 40 of the FOIA (which covers Data Protection). This and any other information with-held, under national security and other exemptions to the act, will become available in due course when the papers reach the 30 years of age. One of the first UFO files to be released under the FOIA in 2001 was that containing papers on the famous Rendlesham Forest incident, often called 'Britain's Roswell'. The sightings took place over two nights late in December, 1980 at RAF Woodbridge, Suffolk, an airbase loaned to the USAF. Mysterious lights were seen to land in the forest beyond the perimeter of the base and a group of airmen went to investigate. They reported seeing lights they were unable to identify moving through the trees. The next day marks were allegedly found on the ground and on trees in the forest where the men claimed the UFO had landed. Two nights later UFOs were again sighted from the base and the deputy base commander, Lt Col Charles Halt, took a team of handpicked men into the woods to investigate. During the expedition Halt saw several unidentified lights and made a live tape recording of the incident. Early in January 1981 Halt produced an official report on the incidents, titled 'Unexplained Lights' that was sent to Defence Secretariat 8 (DS8) at Whitehall. Halt's original typewritten report and the follow-up inquiries made by MoD can be seen at reference DEFE 24/1512. A file dedicated to the Rendlesham incident was subsequently opened by DS8's successor branch, Sec(AS) in 1984. This contains Halt's memo and briefings prepared for a Parliamentary question tabled by Major Patrick Wall MP in October 1983 when the story was published by the News of the World. The remainder of the file covers internal discussion of the case and correspondence from the public between 1983 and 1995. The Rendlesham file will be amongst the first of the new UFO material opened at the National Archives from 2008. Clancarty, Lord with Michell, John. The House of Lords UFO Debate. London: Open Head Press, 1979. Clarke, David and Roberts, Andy. 'Britain's X-Files', Fortean Times 164 (November 2002),38-44. Clarke, David. 'The Rendlesham Forest Incident: Britain's Roswell?' The Skeptic 12/2-3 (2004),17-21. Clarke, David. 'Opening the UFO files' BBC History Magazine, vol6/8 (August 2005), 43-46.